If you booted up Steam today to try to play a Valve game—like Dota 2 or Team Fortress 2—you may have noticed something funky. Maybe Steam tried to boot up something different from what you picked. Heck, maybe you don't even own the game it tries to boot up at all. Such is the case with a number of incidents people are reporting on websites like the Steam forums and Reddit. One person had Dota 2 change to Left 4 Dead 2, for example. Another person had Portal update on their computer...but they don't even own Portal. Most of the incidents have something to do with Valve games fusing or swapping with each other, or people seemingly owning Valve games they've never purchased. It's weird. 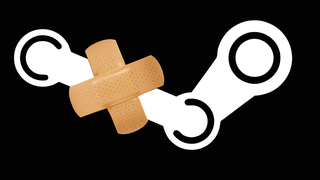 Naturally, though, not everyone is experiencing problems with Valve games right now. But if you are? Good news, chief. There's a fix. I believe that refreshing your local configuration files for Steam might solve problems you're seeing. Please click the following link and confirm the prompt within your client - that should refresh configuration of your client. NOTE: If you have multiple installation folders for games completing this process will remove them. Voila. That should take care of this strange issue. Happy Steam gaming!